Forests Today and Forever brings students to working tree farms to educate them about forest stewardship. Our cornerstone program, Forest Field Days, for grades 6-8, is a cross-curricular package with classroom and field-based learning designed to stimulate critical thinking and creative problem-solving through role-playing. Students make observations about wildlife, soils and water, and learn about the forest as an important resource for timber, wildlife, clean water and recreation. 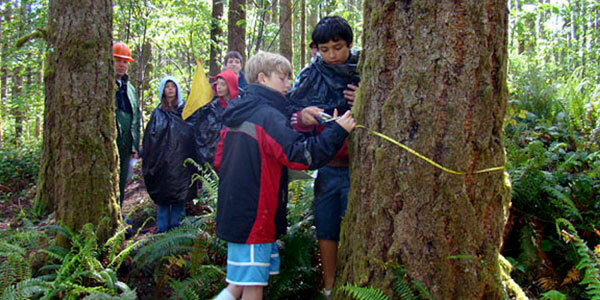 Students use their field observations and experiences to cooperatively develop their own forest management plans. Programs for other grades are custom-designed based upon teachers’ classroom learning objectives, and can include tours, field studies and service-learning opportunities.